After three weeks of injuries, non-eliminations and overall confusion in the world of So You Think You Can Dance, I think we can breathe a little sigh of relief. Things are getting back to normal, at least for now. It hasn't been too long since we were dishing about Seth Aaron, Mila, Emilio and (of course) Ping. But, as Heidi says, one day you are in and the next you are out. So auf wiedersehen, Season 7! Bring on Season 8! Along with the launch of Magical Monday Moments, Please Welcome Your Judges is proud to announce another weekly gem: Trailer Tuesdays. Every week will feature a different movie trailer, whether it be a trailer from an old movie classic, a teaser of movie you've never heard of or a preview of the upcoming week's biggest hit. 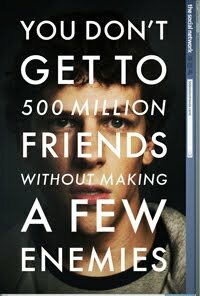 The Social Network is not a movie I was interested seeing. At all. Even though I've been on Facebook almost as long as it's been around (joined in June 2004), I have never been remotely interested in the politics and constant scandal surrounding the founders of the social networking phenomenon. Plus, the whole thing felt a little "too soon" considering it's only been seven years since Mark Zuckerberg and crew started building the site. Sometimes you need a little distance to truly get an idea of what happened. Please welcome a new feature to the world of Please Welcome Your Judges: Magical Monday Moments, a weekly gem from the world of TV, movies and general pop culture to brighten the dreary and depressing black hole known as Monday. This week's Magical Monday Moment is brought to you by Neil Haskell, So You Think You Can Dance Season 3 contestant, Season 7 All-Star and overall hottie. This weekend, Neil changed his Twitter picture (see above) after playing some beach volleyball in the California sun... some much needed downtime from this injury-laden season, I'm sure. Also, check out this picture of him getting serious height in the sand... all with fiercely pointed feet. Cat Deeley said it best at the end of last night's So You Think You Can Dance results show: "We just make this show up as we go along!" Yes, the confusion of Season 7 continued last night. Are there any rules on this show anymore...? Okay, so I know this show has gone through a lot of changes this season, but I didn't realize that becoming So You Think You Can Dance: Survival of the Fittest was one of them. Apparently instead of choosing America''s favorite dancer, we will just wait until America's least injured dancer emerges out of a pile of broken limbs and bandages (sorry - that was gross). New styles! New choreographers! And, unfortunately, a new injury. Yes, with Alex Wong out of the competition, So You Think You Can Dance did its best to get a new lease on life. And, for the most part it worked. Last night's episode chugged along quite nicely with some really great routines. With six boys and two girls represented in our Top 8, it was beginning to look a little bleak for the ladies of Season 7. But not so fast, America, because apparently last night was Ladies Night and the feeling was right. Oh, yes, it was Ladies Night.... oh what a night! 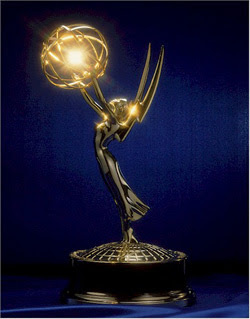 Ladies and gentlemen, here are your nominees for the 2010 Primetime Emmy Awards as announced by the incredibly good-looking duo of Sofia Vergara and Joel McHale (though wouldn't it have been nice if the lovely Ms. Vergara could pronounce a few of those names...?). Well that was pretty anticlimactic, huh? If there was ever a great case for shortening the results shows to a half-hour, this was it. After much speculation and, finally, some information from Lifetime, a promotional video for Project Runway Season 8 has been released. And boyyyyyyyy did they kick it up a notch!